ABRSM: www.abrsm.org/?page=home – ABRSM is the world’s leading authority on musical assessment, actively supporting and encouraging music learning for all. MENC: www.menc.org - MENC is among the world’s largest arts education organizations, with a membership of more than 75,000 music teachers. MENC serves millions of students nationwide through activities at all teaching levels, from preschool to graduate studies. MTNA: www.mtna.org - The mission of Musical Teachers National Association is to advance the value of music study and music making to society and to support the professionalism of music teachers. MTNA also sponsors performance and composition competitions. Central Florida Music Teachers Association: www.cfmta.net - Central Florida Music Teachers Association is associated with MTNA and supports music teachers of all instruments. American College of Musicians: pianoguild.com - The largest nonprofit organization of piano teachers and students in the world. Florida Music Education Association:www.flmusiced.org - Information and resources for music teachers in the Florida area including the Research Perspectives in Music Education journal. Musical Online: www.musicalonline.com/competition_in_us/ - Find Musical Competitions in the United States. PrivateLessons.com: www.privatelessons.com - A database of music professionals to help you find the right music teacher. Pianist Magazine: www.pianistmagazine.com - A magazine for people who love piano. All issues come with a free specially recorded CD of the scores included in each issue. 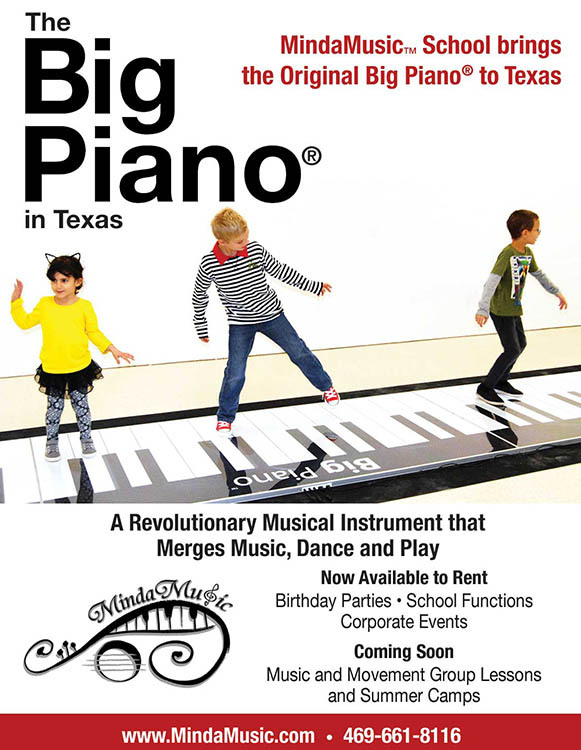 Suzuki: www.suzukimusic.com - Suzuki offers a variety of quality and affordable instruments, including acoustic & digital pianos, band & orchestral instruments, harmonicas, and educational instruments. Barcus-berry: www.barcusberry.com - A quality manufacturer of innovative music systems, acoustic-electric violins, and piezo transducer/preamp systems. They have been delivering reproduction of acoustic sound for over 40 years. Mount Dora Chamber of Commerce:www.mountdora.com - The Mount Dora Chamber of Commerce supports the community in many ways, including sponsoring many popular events and festivals. Leesburg Chamber of Commerce: www.leesburgchamber.com - Leesburg Chamber of Commerce is host to exciting year-round events including the Fine Arts Festival. Tzimon Barto: www.tzimonbarto.com - Tzimon Barto, who lives in Central Florida, is acclaimed as one of the foremost American pianists performing today. He occasionally performs concerts in Central Florida. Music Matters Blog: musicmattersblog.com - A creative, practical and up-to-date resource for the music teacher. Piano World: www.pianoworld.com - Provides a wide overview of all piano subjects, as well as being “Home of the World Famous Piano Forums”. Sheet Music Editor: sheetmusiceditor.com - Free music notation editor and blank sheet music. PianoTabs.net: www.pianotabs.net - Online piano tabs and chords archive. Virtual Chords: www.oddrealm.com/piano/sub-topics/vpc.php - Free online program to help you calculate chords. Piano Technicians Guild: www.ptg.org - Learn about becoming a certified piano technician. PianoPlayerWorld.com: pianoplayerworld.com - is a website that provides free piano lessons and tips for people who want to learn a new hobby in playing music.